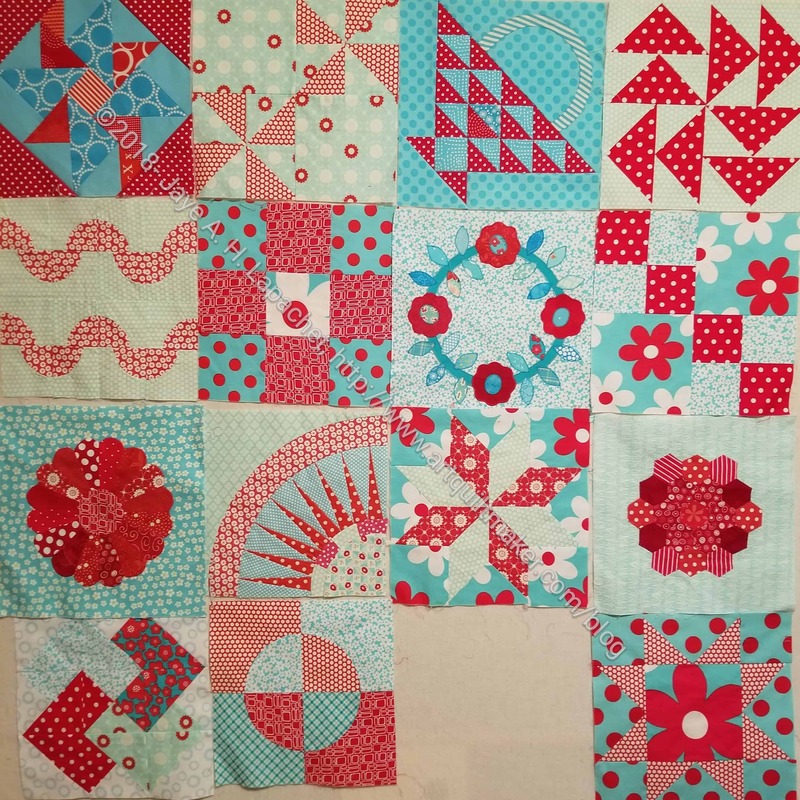 As I mentioned a couple of days ago, I have the Aqua-Red Sampler on my design wall and I am trying to figure out what block to make as my last block. I was thinking of the Nosegay. 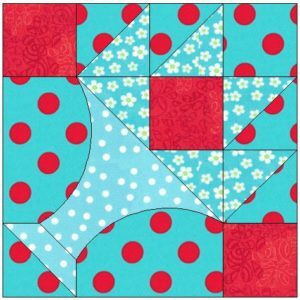 I have a great version for the Handbag Sampler, so it isn’t pressing that I make another one. Still, it’s a good block. Then I remembered the Tea Basket block. It isn’t very popular. 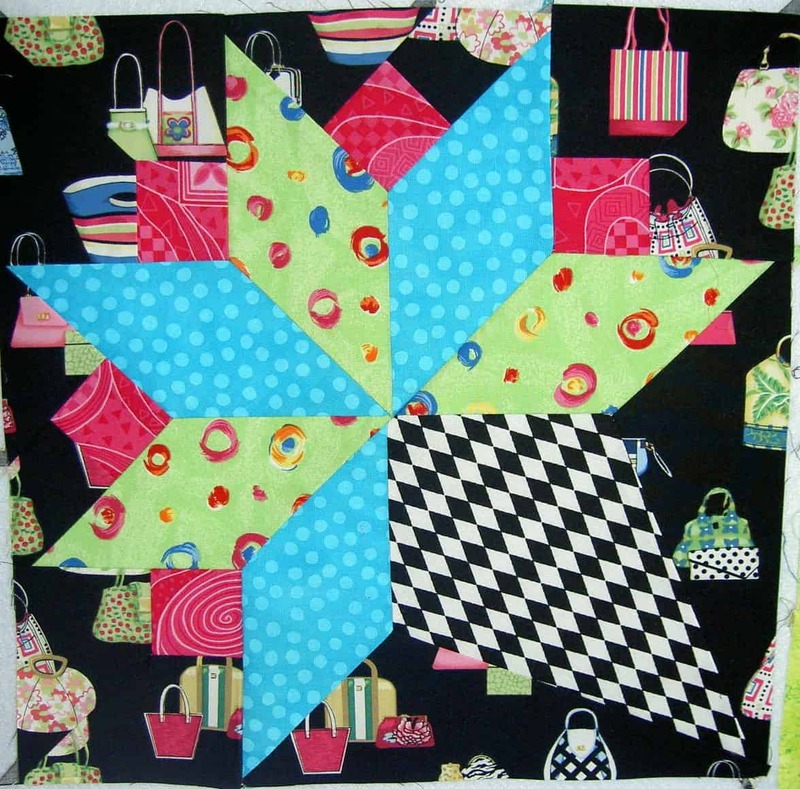 In fact I don’t know if I have ever seen a quilt that included that block. It is in Jinny Beyer’s The Quilter’s Album of Patchwork Patterns, so I was able to find it. I also found it in BlockBase and made some adjustments so the BlockBase version looked more like Jinny Beyer’s version. I also added some color to get an idea of how it would look. Looking at it now, I think it is more of a contender than I thought. I don’t have a lot of fabrics in EQ8, so I was trying to pick some turquoise and aquas. 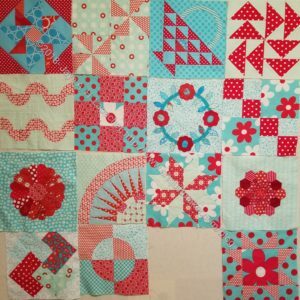 I would pick from some of the other fabrics I used. I am also considering some kind of wheel pattern. I have to look though.